Hotels that allow pets typically truly enjoy having animals as their guests. Most don’t just consider it good business sense, but sincerely take pleasure in making sure your pet feels welcome. While Europe and other countries have always welcomed pets in many of the hotels, America is just now finding that hotels that allow pets is becoming more of the norm. It makes it possible for people to vacation with their entire family. Plus, an increasingly number of hotels that allow pets are going all out to make sure pets get plenty of space to exercise, are comforted with designer bedding, have their individual water and food bowls, enjoy getting welcome kits, love the taste of specially made organic treats and more. With more than 35,000 hotels that allow pets in America alone, there are plenty to choose from. The more you travel with your pets, the more you will know which hotels you like most when traveling with a pet in tow. Here’s an informative blog for those traveling with two or more pets. 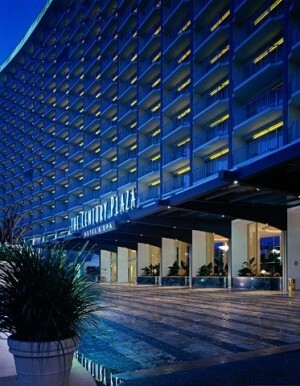 One of our favorite hotels that allow pets is the Hyatt Regency Century Plaza in Los Angeles. Here your pet will get special recognition with its Hyatt Gold Pawsport program. Expect your pooch to get pampered with a plush doggie bed, a chef’s specially made all-natural welcome treat and an in-room haute dog menu. Don’t be surprised if your pooch gets a birthday card in the mail! Hyatt Regency Denver Tech Center prides itself on being a pet-friendly hotel with loads of amenities including food and water bowls, dog waste clean-up bags, a Pet Concierge, pet spa treatments and maps for walking and play areas. The hotel even offers your pet custom treats cooked up by its Executive Chef. Each hotel chain’s and even a chain’s hotels have pet policies are different. The first thing to think about it your pet’s size and weight. Some hotels will have a weight limit: if you have a larger dog weighing more than forty pounds, some chains may be off limits to you. Is it important that your pet be allowed to stay in your room? Most smaller dogs are allowed to do this, as long as you check in with a crate. Do they charge a cleaning fee, deposit or per night fee – most charge a per-stay fee. Is there a place to walk your pet? Often there is a grassy area designated for pet use only. What kind of added pet perks do they offer? Pet bed, food and water bowls, special treats, welcome kit etc. Do they have an in-room food service menu for your pet? Does it offer pet services? 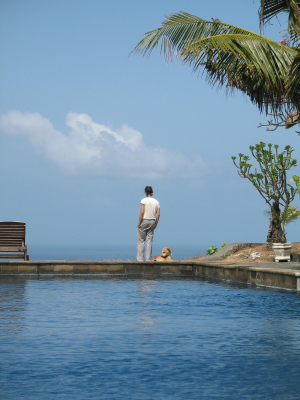 Is there a nearby kennel, doggie daycare or pet sitter for those times when you want to be alone? Vacation Pet Friendly has listings for every city so you may want to do a quick check. 35,000 Hotels that Allow Pets In The U.S. Vacation Pet Friendly has more than 35,000 hotels in the U.S. and 300,000 hotels that allow pets worldwide. You easily should be able to find what you are looking for within your price range. And because we have worked out special deals with these hotels, you will only find the lowest online rates available. Mostly as a cleaning fee, many of the hotels that allow pets will require a deposit. Usually it is about $50 to $100 per animal– far cheaper than a few nights at a good boarding kennel! Finding and reserving your hotel is easy, as Vacation Pet Friendly has the largest selection online. You will discover a huge selection of boutique hotels as well as major brands including Hyatt, Marriott, Ritz Carlton, Best Western and La Quinta. Many of the hotels that allow pets are accustomed to pet travelers, so if this is your first time, rest assured, the staff will put you at ease. You may want to read our article on pet travel tips before heading out. It’s very informative. Enjoy your trip and make sure to post photos on our Facebook page. We love it when you share!